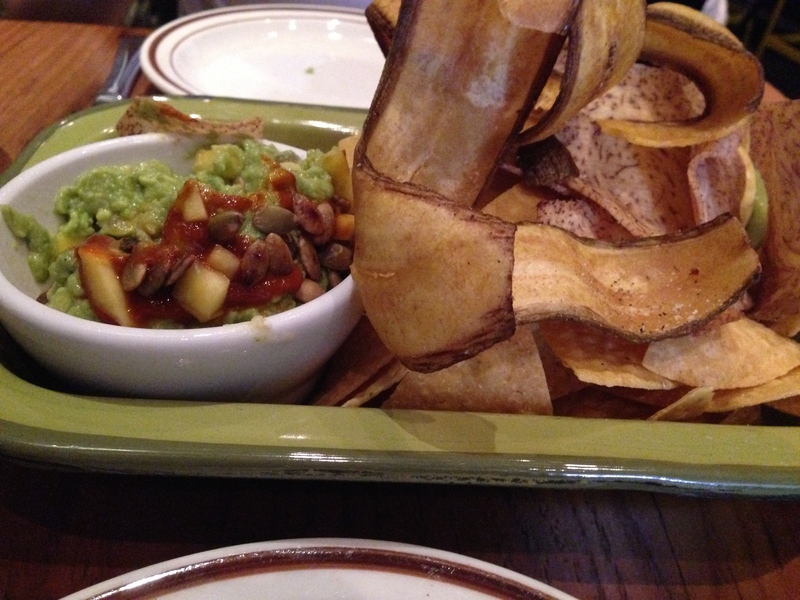 pineapple guacomole with plantain and yucca chips: it really hit the spot perfectly: a finger-food that you could just keep on dipping while conversation rambled. pork cheek and more on a taco; g did the chilaquiles,in the background. At the risk of oversimplifying everything, all I can say is that everything was “right”. 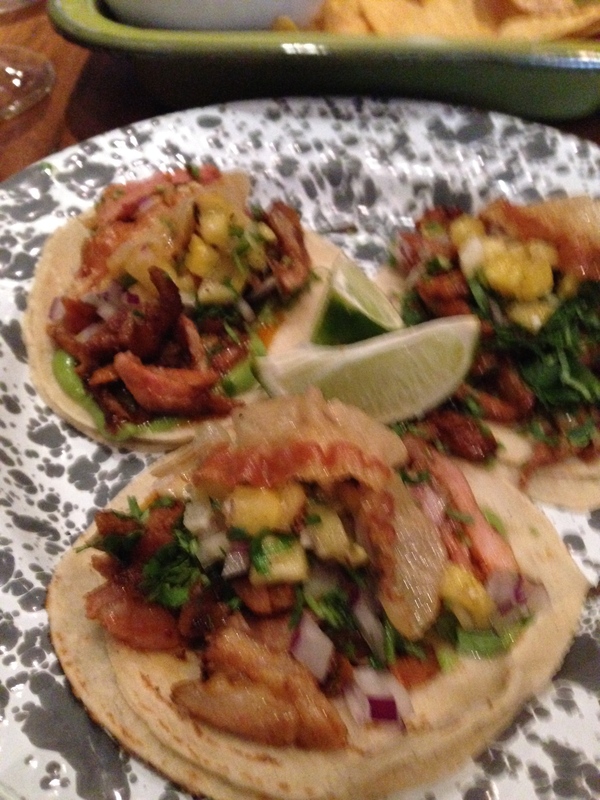 The tacos were well-balanced with just the right proportion of meat and non-meat. The chilaquiles reminded g of the ones she had in San Fran, but done up a little more classily with short rib. Everything met expectations, which I think is an incredible compliment given how jazzed we were about the menu after reading it.